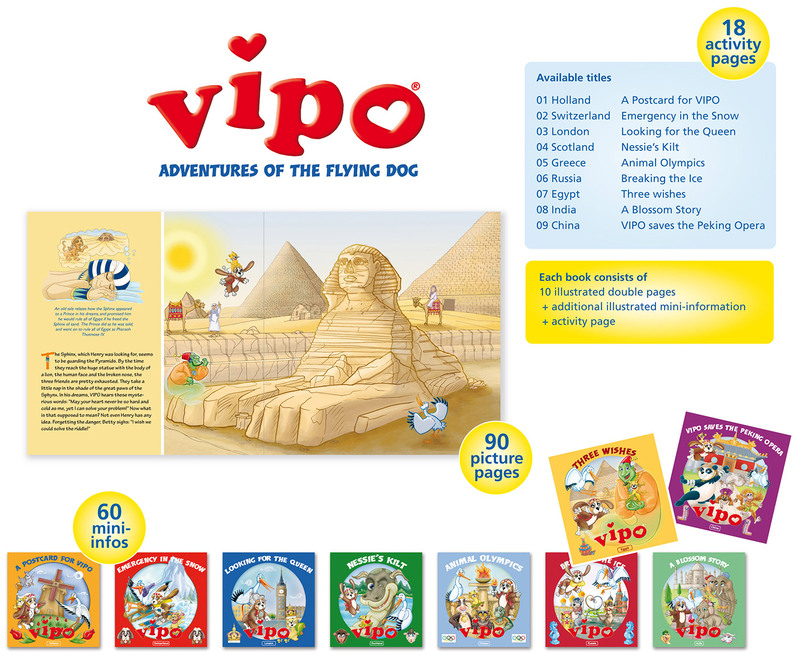 VIPO Land developed a range of E-Books, based on the existing publishing library. 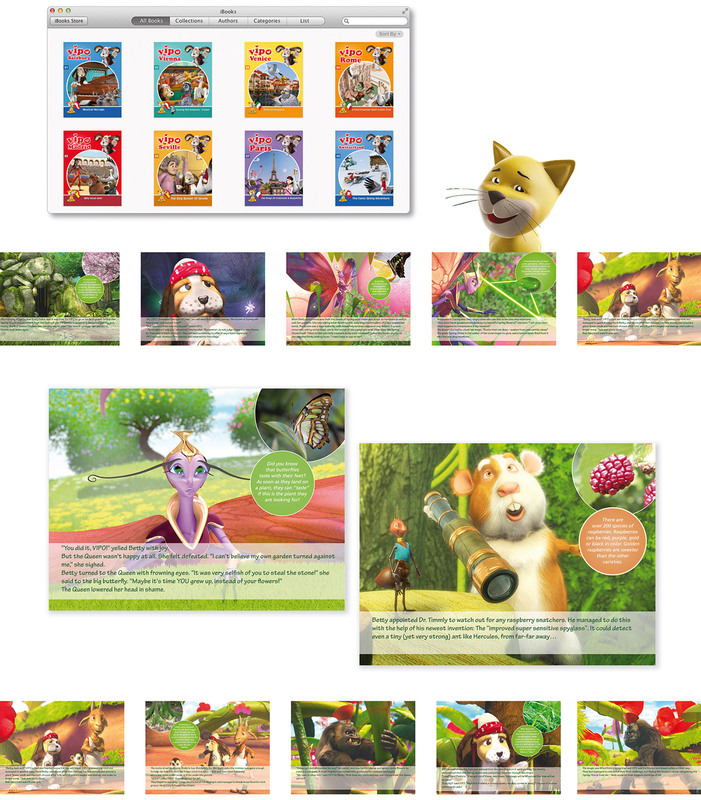 52 E-Books are available (one book per TV episode), each with 32 images from the High Definition series as well as eight additional educational “mini infos” per book. 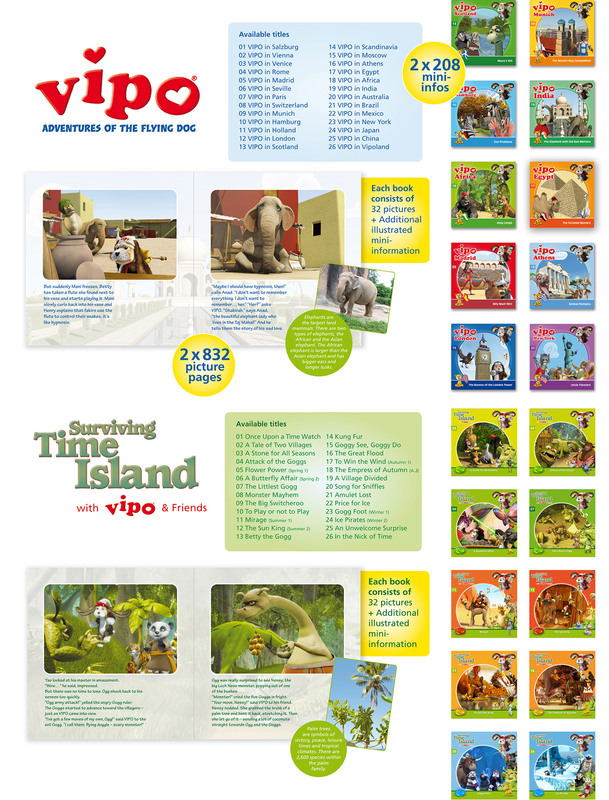 VIPO Land produced a publishing library with delightful stories and pictures. 52 video books are available (one book per TV episode), each with 32 images from the High Definition TV series as well as additional eight educational “mini infos” per book. In addition to the Video Book series, nine illustrated books are also available for publishing under license. In each book, VIPO with his friends Betty and Henry visit different country, where they learn different cultures and meet new friends.